Marsaxlokk (Maltese pronunciation: [marsaʃˈlɔk]) is a small, traditional fishing village in the South Eastern Region of Malta. It has a harbour, and is a tourist attraction notable for its picturesque views, its fishermen and history. As at March 2014, the village had a population of 3,534. 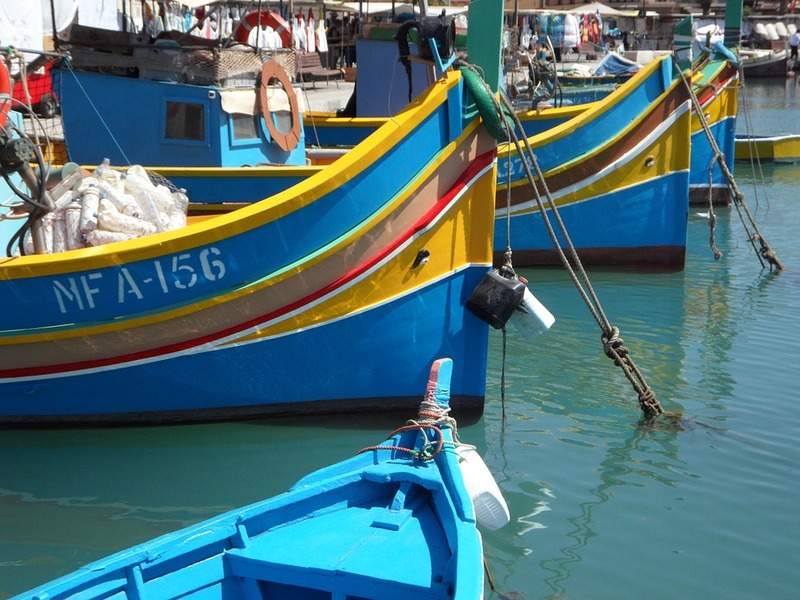 The village is also known for the Marsaxlokk Market, which is mainly a large fish market which takes place along the seafront on Sundays, and a tourist market during all other days of the week. Inhabited and well-known since antiquity, Marsaxlokk was used as a port by Phoenicians, Carthaginians and also has the remains of a Roman-era harbour. Originally a part of the city of Żejtun, the fishing village became a separate parish in the late nineteenth century. Traditional luzzi and other larger and more modern vessels line the sheltered inner harbour. The village is also popular among locals and tourists alike for its peaceful walks around the coast and harbour, its many restaurants, as well as for its secluded and untainted swimming zones. Marsaxlokk Bay also includes a container freeport towards Birżebbuġa, a power station complex towards Delimara, and a small ship-repair facility for fishermen.Marsaxlokk is sometimes referred to as Portus Herculis, due to the association of Marsaxlokk Bay with the Roman and Punic remains at Tas-Silġ.